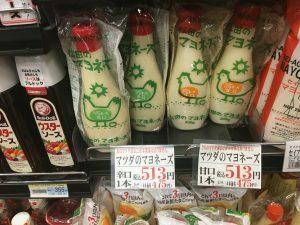 ひまわり市場の成功の秘訣を垣間見ました！　What a great business model “Himawari Grocery Store”! 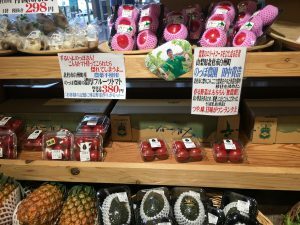 As I informed on my Facebook page, I went to “Himawari Grocery Store” in last week. 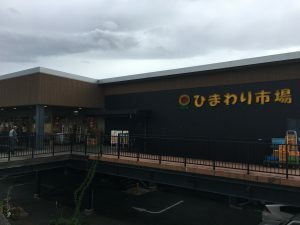 Their location is Yatsugatake area, I am going there quite often, but I didn’t know the store at all. In fac, I went to see Mr. Nawa who was president of the store and was excited so much!! When I arrived at the store, it was really bad location. They didn’t locate along very popular street…, no wonder why I didn’t know this store. Why does it get so popular? It was August 8th Thursday when I visited there. It was very normal day, but I saw so many customers in the store. First of all, I felt really comfortable with their layout. I can see most of all corners from entrance. Also, there are so many Today’s specials in center. Also, their Deli and Sushi looked really delicious. Obviously, the freshness of the products were so different from other stores. Regarding Sushi, the cooker were making from the morning continuously. They are selling immediately. There is the strategy of Mr. Nawa why they are selling so much. Eventually, their products are really tasty when they eat. I thought No.2 of his key factors was really big. Mr. Nawa respects employees and subcontractors so much and makes them very popular persons in his store. For example, there is Mr. Ishii who is the representative for fish market. Mr. Nawa calls him “Teppen Ishii”. Teppen is meaning “No.1”. He is calling him “No.1 expert in the store!”, it is his nick name. 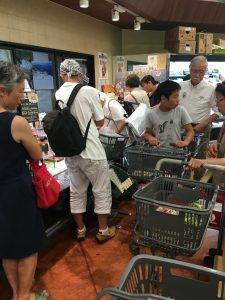 Mr. Nawa announced “Today’s mackerel is really good, because Teppen Ishii certifired…”, then many customers thought “OK, I take it, because Teppen Ishii said it was good! !” Eventually, mackerel were sold out. Have you ever seen the store? I haven’t. There are so many representatives at other sections. 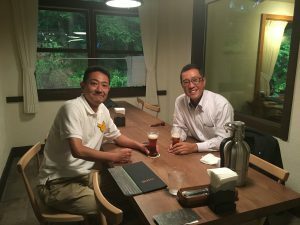 I met Mr. Hiraide who was wine specialist. He was working at Japanese winery for long time and he had enough knowledge. Mr. Nawa called him “Hiraide, World Class”. Everybody was laughing, so did I!! But I asked him about wine, and I bought his selections. Thus, foods and stuffs in the store must be good. This is bottom line, otherwise customers never use the store again. But it is very important to let customers “I may try this food because it seems to be good”. How to do? Their answer is “to create specialist and use them”. Mr. Nawa creates his staffs store stars. Really psychological!! He is awesome!! This is the announcement. We will host Sankosha show with PTB Project on December 1st and 2nd at Sankosha HQ showroom. We are pleased to inform that Mr. Nawa from Himawari Grocery Store will come to speak out his business philosophy. I am sure that so many people struggle how to show their value. This is the great opportunity to listen to his idea. We will give you more updates once we decide more details. Must be fun!! 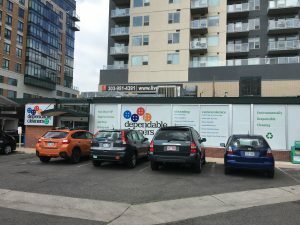 コロラド州の顧客訪問で感じた事　What I felt in visiting customer in CO? 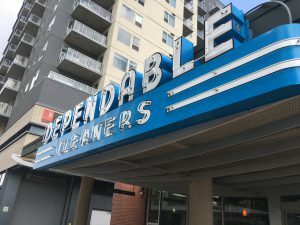 As you know, I went to USA in two weeks ago, then I visited Dependable Cleaners in Denver. Colorado is very famous city with high altitude. 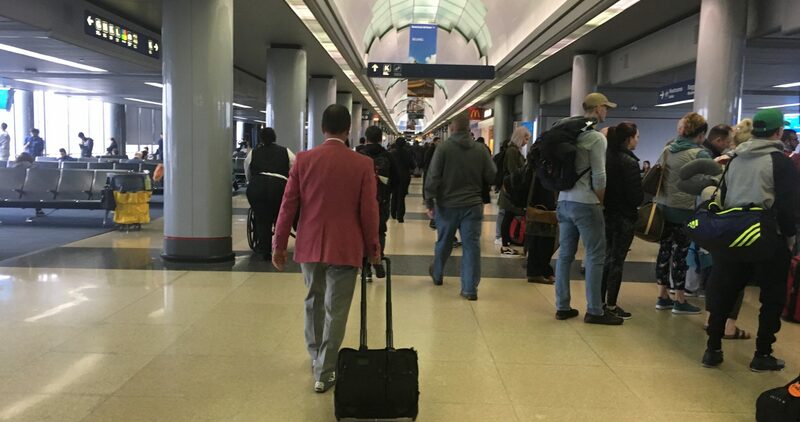 It is about a mile high. In Japan, Colorado is very famous training location for Marathon runner. 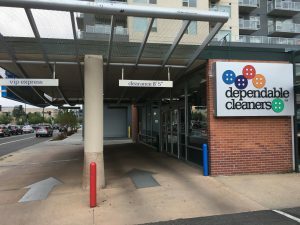 Dependable Cleaners is the most successful cleaners in Denver. 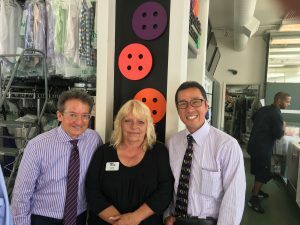 They have 26 shops and 17 shops with direct operations. According to owner, they make very high profit from the operation. Unfortunately, I cannot disclose the number, but I’m sure that everybody will get surprised about their sales amount and profit ratio. Why can they make so much? 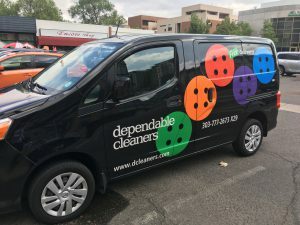 Mr. Steven Toltz who is owner of Dependable Cleaners always think about marketing. What he thinks are “Company Logo” “Wrapping” and “Convenience”. As I told you recently, the investment to Logo is very important. Their trade mark is “buttons”, and they decorate everywhere. 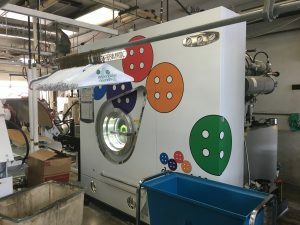 I enjoyed seeing their logo at Dry Cleaning machine. They use same logo for the wrapping, unfortunately I saw single color wrapping material due to supplier’s problem, but they are usually using full color material to match with the shop. He is thinking to improve more drive thru style shop for customer’s further convenience. In this shop, they are two lanes and divide between first timer and frequent user. In normal cleaners, customer gets off their car, grabs garments, and go into the shop, but if it is rainy, they must get wet. If they have handful garments, it is very hard to get in the shop. But this drive thru style allows shop receptionist to approach to customer’s car, so they don’t have to get off. On the other hand, there are few counters in shop as well. Some customers who want to talk to shop receptionist about their request can go to shop. 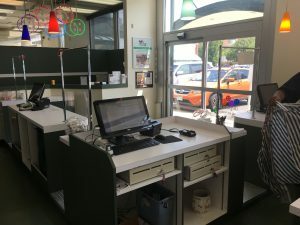 Thus, this shop can give any type of customers better impression due to their choice of check in. This makes really sense! !